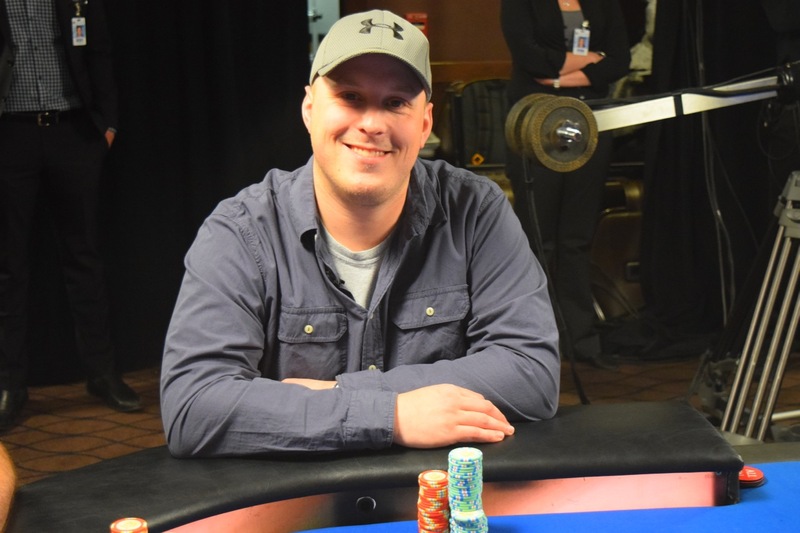 Rich Monroe raises to 175,000 and Matt Livingston bumps it to 500,000. Monroe announces all-in and Livingston snap-calls. Monroe, the bigger stack, shoved his KK into Livingston's AA. The all-in is for 2,130,000 total. The board runs out 8-3-5-9-7 and Livingston doubles.